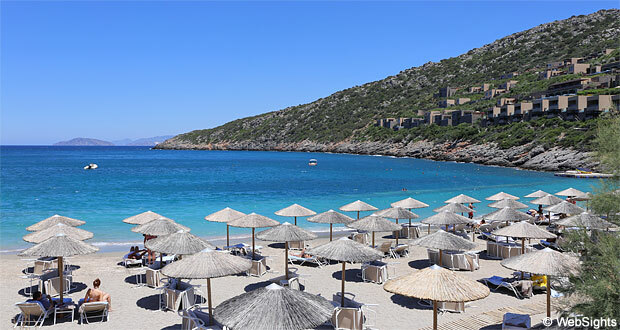 Vathi beach is located only 5-6 km south of Agios Nikolaos in the western part of Crete. The beach is named after the tiny village Vathi, which is located a bit to the southwest. Vathi beach is a relatively new beach, which was not established until 2010. 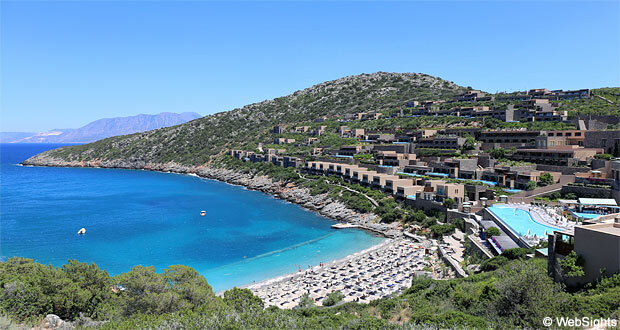 Until that time, the place was a nice rocky bay, but in connection with the construction of the 5-star luxury hotel, Daios Cove, this wonderful beach was established. In this connection, a lot of bright (coarse-grained) sand was added, which gives the water some lovely turquoise shades. The water is not very shallow, but it is almost always calm as the beach is well protected inside a bay. The hotel has arranged for top-class facilities at the beach, including sun lounges, sunshades, changing facilities, showers and toilets. The beach is easy to access for the visitors at the hotel. However, everyone else must face a few challenges to access the beach, but it is possible to pass the hotel on the left side via a nice path. There are plenty of parking spaces. The water is not very shallow, however, it is almost always calm. So the children can easily play alongside the water. There is no playground at the beach. There are water sports activities directly at the beach. Some include a motor boat and there are also traditional water bikes, perfect for the calm water in the bay. The bay is also very suitable for snorkelling. The hotel has a lovely restaurant by the beach. If you do not feel like eating at the tables, the restaurant also works as a beach bar. There are no holiday resorts close to Vathi beach. The place is laid out around the luxury hotel Daios Cove, which offers hotel rooms as well as holiday homes with private swimming pools. A fabulous hotel with a unique location, but only for visitors who can afford to pay a little extra. 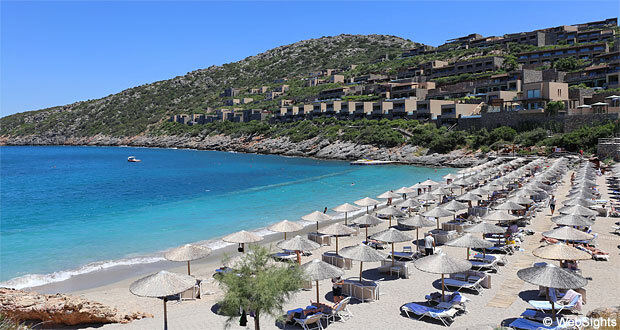 If you stay in Vathi, it is the perfect opportunity to visit Agios Nikolaos and Elounda. 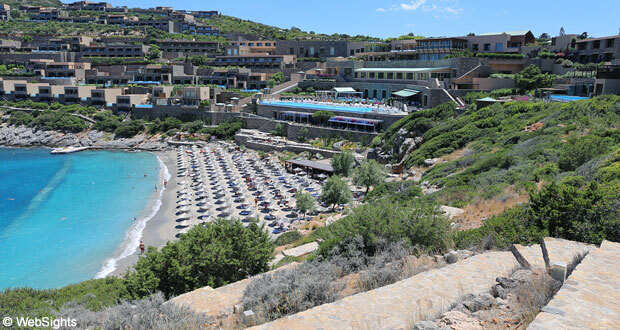 From both towns, it is possible to sail to the island of Spinalonga, a former leper colony. 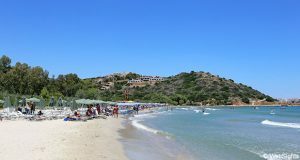 Today the island is one of the most popular attractions in Crete. The beach can be seen clearly on the map and the same applies to the bright path going from the parking space towards the beach on the left. 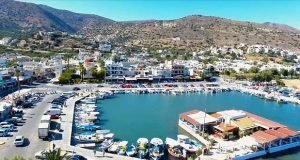 Agios Nikolaos is located to the north, whereas the small holiday resort Istro is located to the southeast.